Today we’ll talk about walls. Hadrian’s Wall in England, built by the Romans. 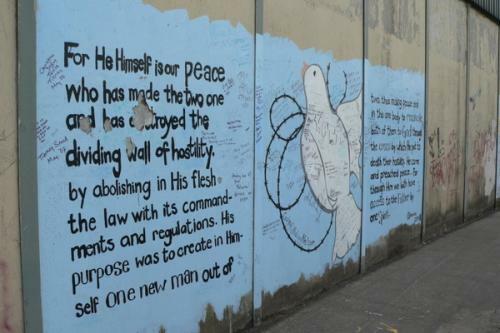 The “Peace wall” in Belfast, Ireland. And, closer to home for some of you. The most heavily guarded border in the world. The DMZ or demilitarised zone, between North and South Korea. So many walls that separate people. Borders and barriers that cut up the world. They show that something is badly wrong. The first book of the Bible, Genesis, tells us what happened. It all started when people disobeyed God, turned away from him, did wrong things. The Bible calls this sin. A barrier of sin went up between us and God. It was the first relationship breakup. a husband blamed his wife for what went wrong – sound familiar? to guard the first closed border that shut people out. Then came the first murder when a man killed his brother. Soon people were divided by different languages and cultures. And they couldn’t understand each other any more. Ever since, we have been building walls. Walls of concrete and barbed wire, steel and stone. Walls of fear and misunderstanding and anger and hatred. that shut people out or lock them in. We can see with our eyes the physical walls that divide people. the barrier of sin between us and God. In Bible times, in a way you could. Jerusalem had a temple where people worshipped God. In the middle was a room called the Holy of Holies. Here was the presence of God. It was behind a thick heavy curtain. Only one person could go inside, only one time a year. The curtain was a visible sign of the wall that cuts us off from God. Outside, there was a series of walls. First, an area for the priests. Outside that, a place for Jewish men. Further out an area for Jewish women. Then a few steps down, far off, an outer area for non-Jews. It was separated from Jewish areas by a stone wall, about 1.5 m high. “No one from another race is to enter within the fence around the Temple. It’s almost a picture of our world today. A curtain cuts us from God. barriers between different religions and races and skin colours, men and women. A world of safety without fear. 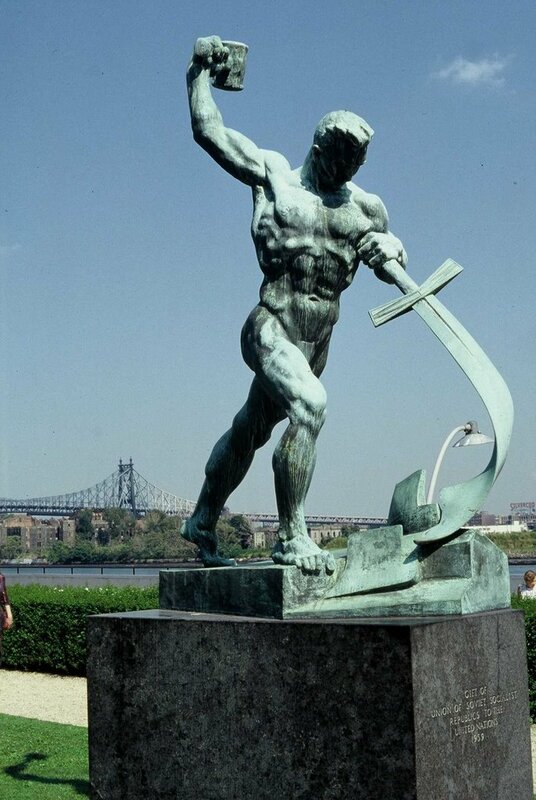 at the United Nations building in New York. to farm the land and grow food. The United Nations often fails – look at Syria. it can even make things worse. One day, God will do what the UN cannot. He will bring lasting peace. restoring good relations, turning enemies into friends. 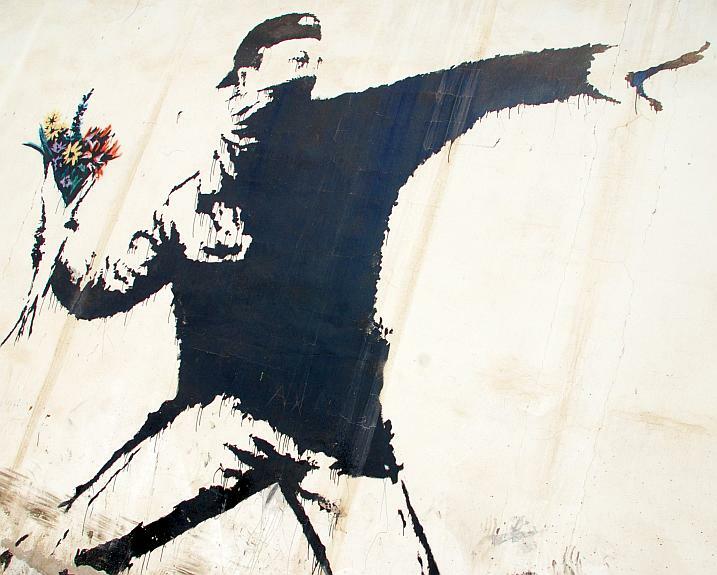 No more armies, no more fighting, no more violence, no more war. The baby will play safely near the hole of a snake…. Nothing will hurt or destroy. Isn’t that a beautiful picture? When will this wonderful time come? when God sends a special, good and fair and peaceful King. a son is given to us…. We sing about the birth of this baby King, Jesus, at Christmas. At Easter, we remember what he did to bring reconciliation. On Good Friday, Jesus was nailed to the cross. He suffered for hours before he died. The curtain stood for everything between us and God. Every lie I tell or angry word I say makes that curtain thicker. Every bad or unkind thing I do makes it stronger. Maybe we’ve pulled at the edge of that curtain. tried to get through to God. But we can’t: it’s too heavy and strong and thick. God reached down with his mighty hands. He grabbed that curtain and ripped it right in two. All the way from top to bottom. He broke down the barrier of sin that stood between us and God. Now we can all go into the holy of holies. We have peace with God… Our friendship with God was restored by the death of his Son while we were still his enemies… So now we can rejoice in our wonderful new relationship with God. That’s a definition of reconciliation! We had rejected God and become his enemies. But on the cross, Jesus made peace. He made us God’s friends. That’s the gospel, the good news of Easter. That’s half the gospel, the first stage of reconciliation in Christ. Last week we read it in English and Chinese and Japanese and Korean! That was appropriate, because Paul is talking about racial reconciliation. Back then, Jews were proud of all their religious laws and commands. They looked down on Gentiles, people of other races and religions. There was a wall of hostility and hatred between them. Like that physical stone wall in the Temple. That wall has been broken down. Some of you know about being a foreigner. Maybe you had culture shock when you came to New Zealand. Things seemed strange, you didn’t belong. Maybe you felt you weren’t wanted. Some of you are trying to get permanent residence here. It can take a long time. Paul says that God has already given us all PR, for free. We don’t have to wait! No matter who you are, you are wanted. You belong in God’s family. but we can all be full citizens of heaven! There is no longer Jew or Gentile, slave or free, male or female. You might have been brought up to look down on others. no more division between China and Japan, North and South Korea. No more separation between rich and poor people, bank managers and beggars. Yes, the Bible gives us a big picture of reconciliation. It’s like a cross: it has two beams of wood. One is vertical, from heaven to earth. That shows how Jesus reconciled us to God. The other beam is horizontal, arms stretching out to embrace the world. It shows how Jesus reconciles us to each other. You can’t have one without the other – it wouldn’t be a cross. Peace with God, peace with each other. That’s the good news of Easter! David, get out of the library and read the paper, watch the TV news. Where in the world is this reconciliation? Look at Syria, Sudan, Ukraine, North Korea. Look at the punch-up in the pub down the road last night. Wake up and smell the tear gas. Sometimes I find it hard to believe that God is active in this world. It can seem like Jesus has made no difference. Maybe war and hatred and violence will win. The wolf won’t lie down with the lamb; it will kill the dove. Let me share something that gives me hope. That shows me the teaching of Jesus, and what happened at Easter. Still have power for good today. The USA had terrible walls between people. So did South Africa. They were very racist. No Spanish or Mexicans allowed in this restaurant. No Africans or Indians on this beach. Negroes can’t go to this school or use this taxi. And can only sit at the back of this bus. When I saw these pictures, I was shocked. Imagine if your whole life was lived inside those walls. What did black people do? Some gave up and accepted it. Some wanted to attack and kill whites. Others found a third way. Let’s meet two of them. There is neither Jew nor Gentile, black nor white. 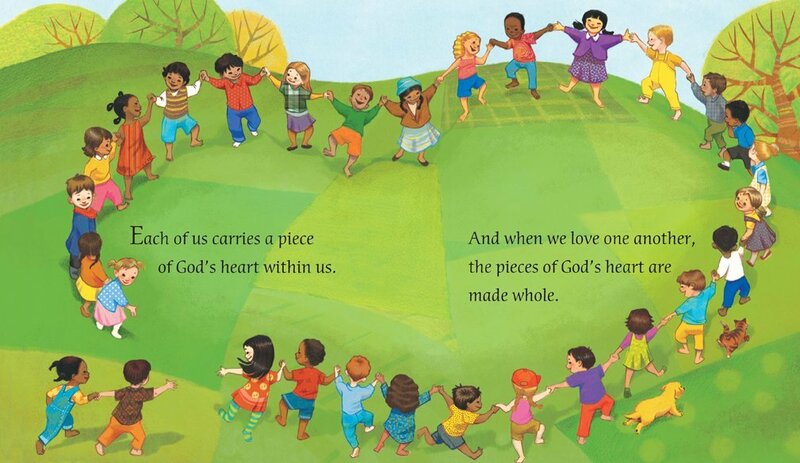 All are one in Christ Jesus. Both of them knew Paul’s words in Ephesians. On the cross, Christ broke down the wall of hostility that divided people. So they knew that apartheid and racial division was wrong. They also knew something else. If you fight evil with evil, you will become evil yourself. If I repay violence with violence, things will only get worse. They could not accept these evil racist laws. They could not fight it with violence. 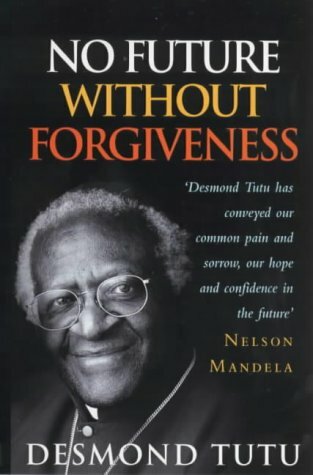 From Jesus, Martin Luther King and Desmond Tutu learnt another way to fight evil. But to you who are willing to listen, I say, love your enemies! Do good to those who hate you. Bless those who curse you. Pray for those who hurt you. If someone slaps you on one cheek, offer the other cheek also. If someone demands your coat, offer your shirt also. Love your enemies, do good to them, bless them, pray for them. Jesus didn’t just talk about this. At Easter, he did it. They nailed him to the cross…. King and Tutu followed Jesus’ teaching and example. They fought white prejudice but they loved white people. They peacefully resisted the unfair laws. Many white people became angry and wanted to kill them. On 30 January 1956, a bomb exploded in Martin Luther King’s house. His wife has just had his first daughter: two months old. They were okay, but crowds of his supporters came. The white police were rough and rude. Some black people had guns and wanted to use them. Redemptive means it can bring healing. The crowd became calm and went home peacefully. Over in South Africa, Desmond Tutu said. I cannot hate that white police officer who is beating me. Because he and I were both baptised in the name of Jesus Christ. Some of us are Jews, some are Gentiles,some are slaves, and some are free. But we have all been baptized into one body by one Spirit. You see, King and Tutu didn’t just want to change laws, but to change hearts. To bring black and white together into one new people, as Paul wrote. Look at all the colours together! That’s the vision of Isaiah and Paul. That’s the work of Jesus on the cross. It was hard for King and Tutu to fight racist injustice. They kept their eyes on Easter. No matter how dark things looked, he had hope. He heard the “triumph and beat of the drums of Easter”. The death and resurrection of Jesus puts the issue beyond doubt: ultimately goodness and laughter and peace and compassion and gentleness and forgiveness and reconciliation will have the last word. At last, they did win. As for Jesus, it cost King his life. He was shot in 1968, only 39 years old. But the racist laws in America were gone. In South Africa, apartheid ended in the early 1990s. It tried to heal the past, so South Africa could move forward. not be punished, and hopefully be forgiven. Every session opened with prayer. There were amazing scenes of reconciliation. Can still change the world today. King and Tutu encourage me. They also challenge me, they frighten me a bit. Could I keep on loving? I’m scared of dogs – I don’t think I could handle police dogs attacking me. Most of us won’t experience that. 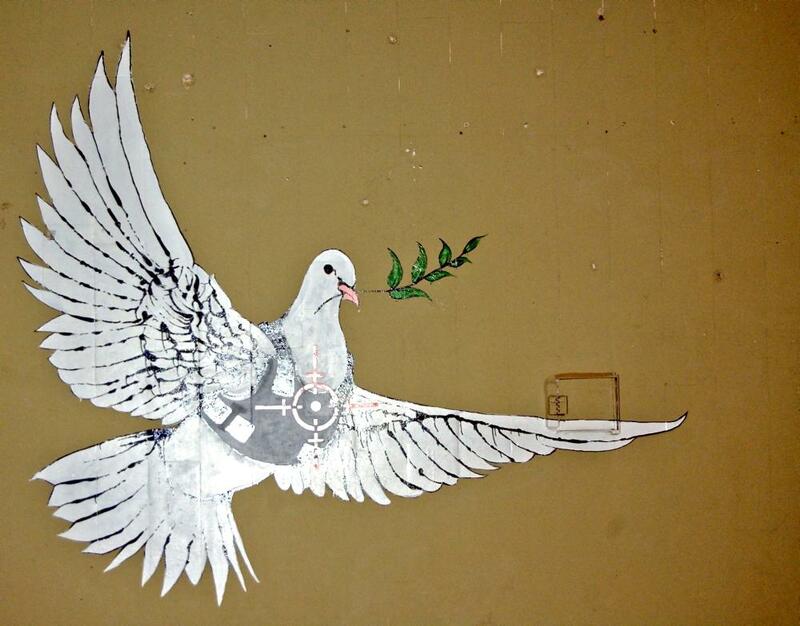 Peace and reconciliation are a way of life, that begins in daily life. Think of your workplace, or your class at school, or even here at church. Is there someone you don’t get along with? When you see them, there’s a little wall in your heart. Maybe that person seems strange or unfriendly. Maybe you never talk to him or her. Walls are bad, so what can we do? One: take a look at yourself. Have you done something to cause offence? Two: look at that person and discover the good in them. Overall, ask God to bring love and reconciliation. And here is my suggestion. Try to break down the wall and make that person smile! are in our own family. My father was a wonderful man. I loved him very much. But he didn’t show much emotion. He found it hard to say “I love you”. In later years, I learnt to give Dad a hug and say I loved him. I’m so glad that happened before he died. Some of you may be similar. You might not be close to your father or someone in your family. Some cultures make it harder. These are also walls that Jesus wants to break down. God was in Christ, reconciling the world to himself, no longer counting people’s sins against them. Do you know this reconciliation? Have you found peace with God? God has given us this task of reconciling people to him. An ambassador represents his country overseas. God wants us to take his message of reconciliation to the world. To tell people about forgiveness in Jesus. breaking down the walls between us and God. He wants us to love each other, even our enemies. breaking down the walls that divide people. Like the two beams of the cross. Paul had a dream of all peoples, all things, united together as one in Jesus. of love and forgiveness and reconciliation. What are you and I doing to make that dream a reality in this world? It starts with vertical reconciliation: finding personal peace with God. We can work for reconciliation in our own relationships. We can pray for each other and the world. Third, some of you may also have been inspired by King and Tutu. You might want to read more about them or other peacemakers like Gandhi. Many organisations are working to break down walls and bring reconciliation today. We started in Genesis where walls went up. 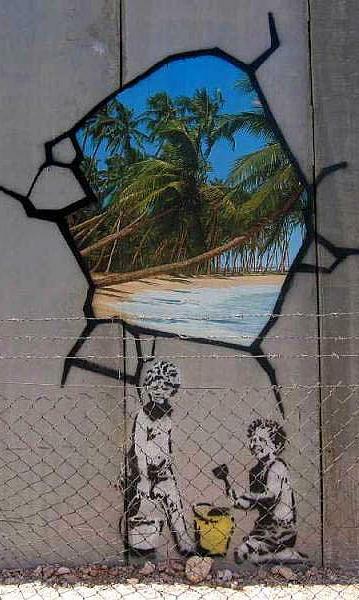 describes a world without walls. The writer sees the dream of Isaiah and Paul and King and Tutu come true. All peoples are worshipping God together. They are thanking Jesus for all he did at Easter. Whatever country you’re from, you can be there. Whatever language you speak, God wants you there. What are some walls that divide people? – What is the Bible’s dream? How did Jesus break down barriers? Is there a curtain between you and God? – How can we become God’s friends? Is there a wall between you and someone else? – How could you bring reconciliation? 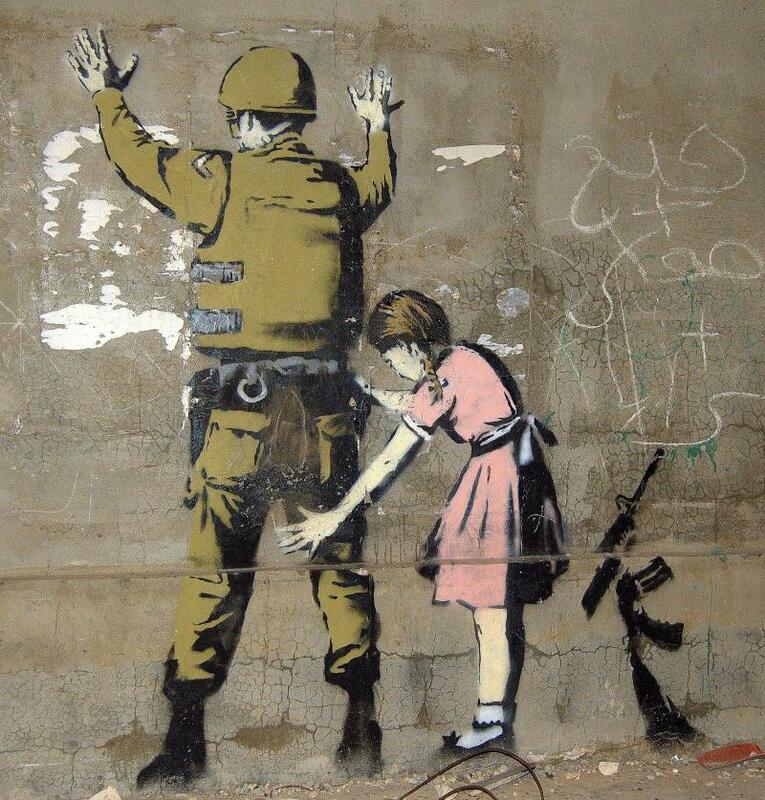 See great pics of the graffiti at http://travelingliz.com/2011/11/oh-little-town-of-bethleham.html. Egypt is still there today. Assyria is the region of Iran and Iraq. Imagine that: Egypt, Iran and Israel will worship God together, all in God’s family. Think of all the fighting in the past between China and Japan, on either side of Korea. One day, Chinese and Japanese and Korean will hold hands and worship God together. Maybe standing where the DMZ is now. 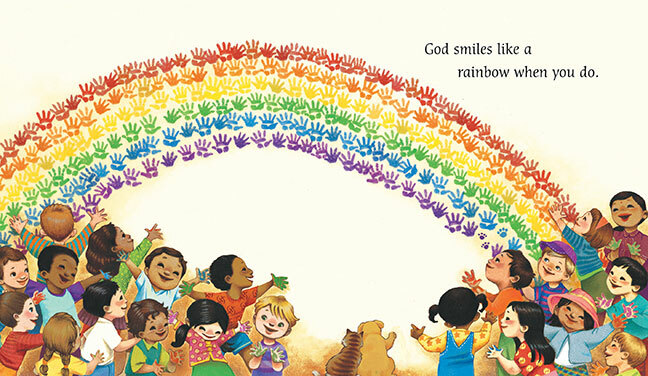 A Christian artist in America Edward Hicks painted over 60 versions of these verses. He called these pictures “The Peaceable Kingdom”. Some people want to make the Korea DMZ into a nature reserve for endangered animals – several rare species have already found refuge there. Sometimes Jewish parents held a funeral if their child married a Gentile. “Jesus would die for the entire nation. And not only for that nation, but to bring together and unite all the children of God scattered around the world.” (John 11:51-52) The night before he died, Jesus prayed that all believers would be one, as he and the Father are one (John 17:21). In fact, Jesus said people should seek reconciliation with others before they come and worship God in the Temple (Matthew 5:23-24). For an outline of his thought on nonviolent activism and the beloved community, see “The King Philosophy” at http://www.thekingcenter.org/king-philosophy. 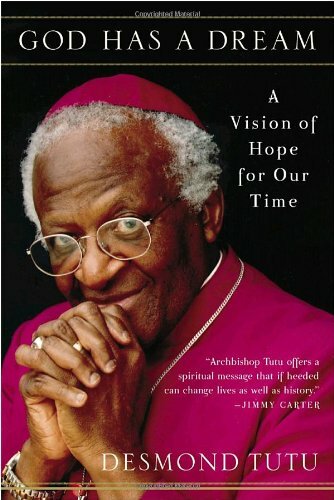 You can read more about his life and work at The Desmond Tutu Peace Centre. Joseph Goebbels, Hitler’s Minister of Propaganda, said “Even if we lose, we shall win, for our ideals will have penetrated the heart of our enemies.” That’s one of the most frightening quotes I’ve heard. they believed that only the way of the cross could heal society, only nonviolence break the spiral chain of evil, because it is “a powerful and just weapon which cuts without wounding” (King). Until now, King kept a loaded gun in case armed revolt was necessary. Now he got rid of it and preached, “Always be sure that you struggle with Christian methods… Use only the weapon of love”. In March that year, King was taken to court and unfairly condemned. His black followers sat quietly in the courtroom. On their coats they had crosses that read “Father Forgive Them”. There are some who still find the cross a stumbling block, and others consider it foolishness, but I am more convinced than ever before that it is the power of God unto social and individual salvation. So like the Apostle Paul I can now humbly yet proudly say, “I bear in my body the marks of the Lord Jesus.” (Galatians 6:17) The suffering and agonizing moments through which I have passed over the last few years have also drawn me closer to God. More than ever before I am convinced of the reality of a personal God. South Korea formed its own TRC in 2005. See wikipedia entry and the official website. It was like that when the Berlin Wall came down in 1989. Many Communist countries became free. Churches praying and peacefully marching played a big part. It’s a good sermon. How and why we should love our enemies, on a personal and international level. You can read it here. On 28 August 1963 in Washington DC. Read about Nobel Peace Prize recipients at www.nobelprize.org/nobel_prizes/peace. For example, see Christian Peacemaker Teams “Building partnerships to transform violence and oppression” at www.cpt.org, the Fellowship of Reconciliation “Working for peace, justice and nonviolence since 1915” at www.ifor.org and http://forusa.org, Pax Christi “the international Catholic peace movement” at www.paxchristi.net and paxchristi.org.uk, Sojourners “Faith in action for social justice” at sojo.net. Enter your email and click Follow.